The promise of super long lasting and matte drying liquid lipsticks seemed so alluring that most of us at some point got sucked in by it. Isn’t it? However, I am sure the struggle only just began once we got on with our first tubes. 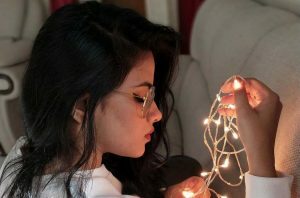 Recently, I asked on my social media and local bloggers group to send in their liquid lipstick troubles and I was not at all surprised by their queries because those were the very same problems that I had faced too initially. Jot down your own and I am sure they’ll match one or the other of these; messy application, uncomfortable to keep on, difficult to layer, flaking right off, transferring and not at all long lasting as per their claims. 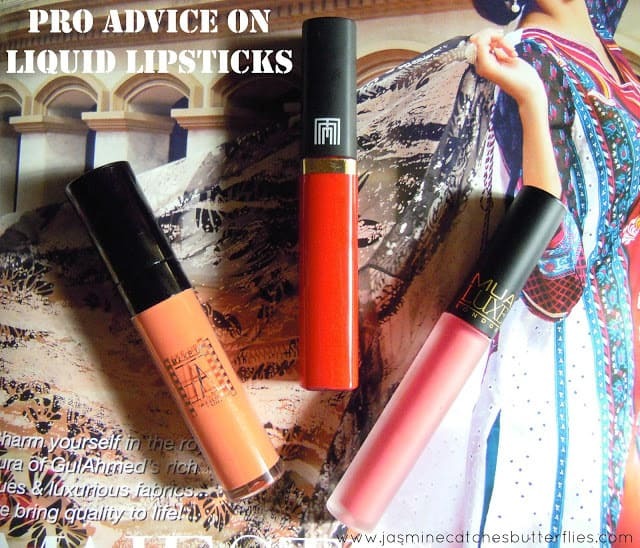 In this blog post I share with thou the basics and the ultimate liquid lipstick life saver when it comes to application along with mini-reviews of three different liquid lipstick formulae that I have tried and tested so that you get a good idea of what to expect in general if you are just about to buy one. So, you practically made a dent in your savings and now it is just not working out. You still don’t have the heart to throw away your liquid lipstick but every time you wear it, there’s nothing more than heartache. Here, -offers handkerchiefs, I got you! This is something that just about anybody would tell you! It is the most crucial bit of prepping your lips, especially before going on with a matte lipstick. The liquid lipsticks can prove to be much more unforgiving as they are designed to literally hug your lips like a sticker for longevity and therefore they can accentuate even the most natural of your lip lines let alone dryness. You can make your own sugar scrub or get one off the shelves like this LUSH Bubblegum lip scrub or/and use a spare toothbrush for getting the smoothest slate to work on. You know, I got to a point with my liquid lipsticks where applying a balm over just made the lipstick at least look decent by stopping it from cracking but on the whole it totally forfeited the purpose. I wouldn’t advise you to use a lip balm with your liquid lipsticks but just because they tend to settle in lip lines, what I do to battle the situation is that I load on a lip balm and keep it there while I am doing rest of my makeup. Once it is time to apply lipstick, I blot out the lip balm and then go over with my liquid lipstick. 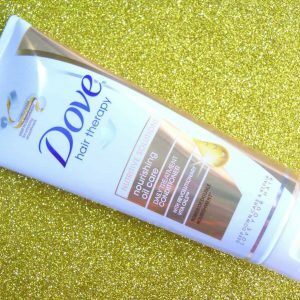 This helps in hydrating my lips from within and make things more workable. Now, this is the bit where things get tricky. For the longest of time, my liquid lipstick challenges included sloppy application, cracking just as I spoke or smiled and tolerating the sticker feeling for more than a few minutes. So, I really wondered if it was my lip shape that didn’t cooperate or the formula of what I had at hand. 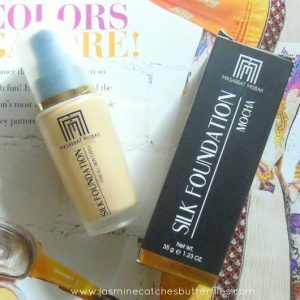 I decided to look the matter up since so many beauty gurus make their liquid lipsticks look flawless, but I must say I was a bit disappointed to not find much substantial information. Even though, this is still quite basic, from a makeup artist’s tutorial I realized it’s time to line my lips which I do not really do otherwise and for this purpose the guru suggested to use a brush with the liquid lipstick before going in with its applicator. I used my Sigma E05, which is a fine, stiff and pointy eyeliner brush that works just as well for lip products and I was amazed how neat and not sloppy my liquid lipstick looked. However, the main problem of cracking and transferring, leaving behind patches, still persisted. This is when I decided to still use a brush but just not for lining, instead doing my lips completely with it. E05 seemed a bit small for this task and I ended up picking the most random, off brand, flat brush from my collection. This brush is probably the oldest one I have and even though it was super inexpensive it has lasted so far and now I need to hoard more of these. This flat brush is the superstar grace saver I have found. I pick the product off my liquid lipstick applicator with this brush and then spread it thinly over my lips while also neatly lining them. Seriously, you guys, this has made the CHALK and CHEESE difference in my liquid lipstick application. The prime thing to note is that applying directly off the applicator even after wiping off the excess, always deposits more product than you can handle at a time. In order to even it all out, you add on so much product that it fails to properly dry and you end up with the most distasteful look of all times. On the contrary, using a lip brush gives you far better control and also the thin layer you first apply, instantly dries and you can go in with another thin coat to amp up your look though I personally feel even a single coat works fine and lasts all night long. A few other pointers to bear in mind when you are working with a liquid lipstick, are that do not stretch your lips unnaturally while applying because think of liquid lipsticks like clay masks, if you stretch your skin it cracks so if you are stretching your lips in advance, your lip lines will be more prominent once you finish. To avoid this, let your lips rest as they naturally would and only stretch a wee bit, especially, when you get to the corners. Secondly, avoid pursing your lips at all costs during application. Coat each of your lip separately instead as rubbing your lips together while the liquid lipstick is still wet disrupts the layer and then you just cannot save the situation. Furthermore, avoid layering too much product as the end result is just not cute. Don’t do any more than two if you must. One more thing you can do to increase your lipstick’s longevity is to line and fill your lips with a matte pencil of the same shade before applying your liquid lipstick. It is just makeup, and we all mess up, so relax even if you were unable to get it right in the first attempt. If you do not have a steady hand yet when it comes to lining your lips, that is okay, you will get there with practice. For now, or if you prefer an absolutely neatened look, clean up around your mouth and corner of the lips with a similar flat brush using a concealer. It is pretty simple and time-saving. As much as you would now love rocking your liquid lipstick, at the end of the day it might prove to be a real pain in the rear end when it comes to taking it off. 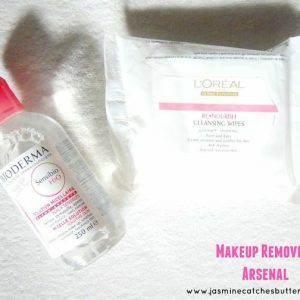 This is when even your favourite micellar water would surrender and the cleansing milk might fail too. All hail to oils then, be it olive or coconut to rid you off each trace of the liquid lipstick with minimum tugging and additionally restoring the moisture back in your lovely lips. I would like to mention that all liquid lipsticks have a slightly different formula even if they are from the same brand as the lighter ones have different ingredients than the darker ones. Also, I have come across mixed reviews about every single one of the popular brands although I have not tried them all. 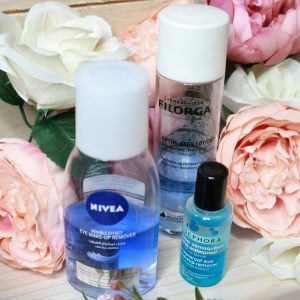 There’s always someone bashing one or the other and it just gets so confusing but all three of the ones I am mentioning here, are from different brands, have different formula and yet the technique that I now use make them all work irrespective of the fact that they still differ in quality. I have swatched each liquid lipstick using both, its applicator (left) and the lip brush (right) to show you how the results vary. Keep in mind that these are only single swipe swatches with the actual applicators and things can get a lot harder to handle on lips with the applicator when you have to go over and over. On the flip side of the coin, thinning out the layer with a brush gives me more control of adjusting it to my liking and also see how quickly it dried. Starting with the packaging, it does look very luxurious in the slim matte glass tube with gold font on the black cap. 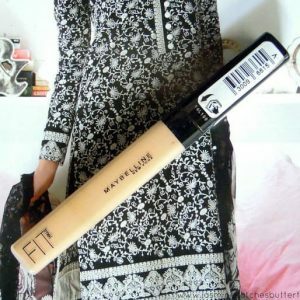 This is thicker and drier than the rest of the lot and this is the one I wouldn’t recommend layering at all for that very reason. It smells kind of plasticy but luckily that is not detectable once applied. Other than that it has a basic doe foot applicator. 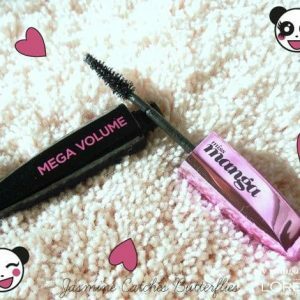 This is the most inexpensive one out of the three and its formulation is my least favourite. 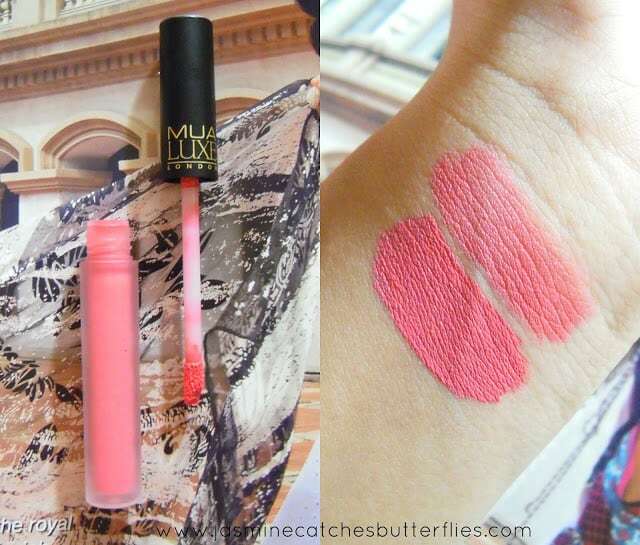 MUA Luxe Velvet Lip Lacquer is not as long lasting as the other two but once dry it does not transfer. This particular shade, Aflush, is a bright baby pink that can looks more neon in person. It is gorgeous but I am not a pinks gal. This comes in a soft plastic tube that is getting grubby with time, but at least it is safe to carry. This has a slightly elongeted doe foot applicator which I believe is supposed to help you on the outlines of your lips but it still wasn’t the neatest for me. Formulation wise this feels greasier than the other two but in a non-negative way. 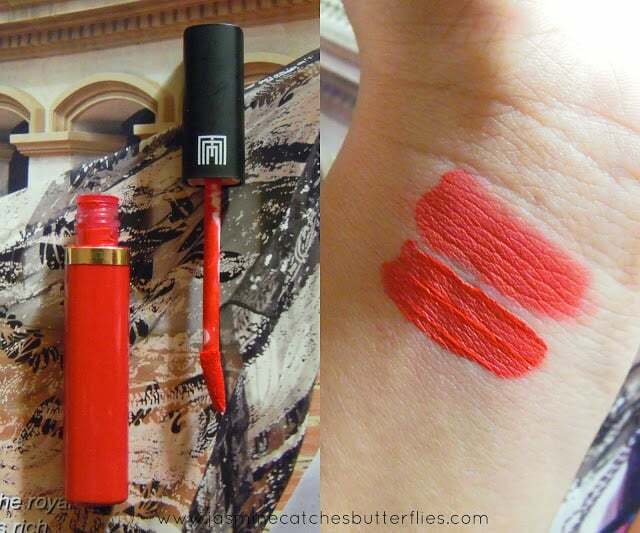 Perhaps, it is so to keep the lips moisturised, however, this lipstick gave me the toughest time when I used to apply it with the applicator. It was always just too heavy, crumbly and came off very easily. Nonetheless, when I started applying it with the flat brush, it became my favourite of the lot. Phenomenal Red is that bright true red that I feel easily drawn to. 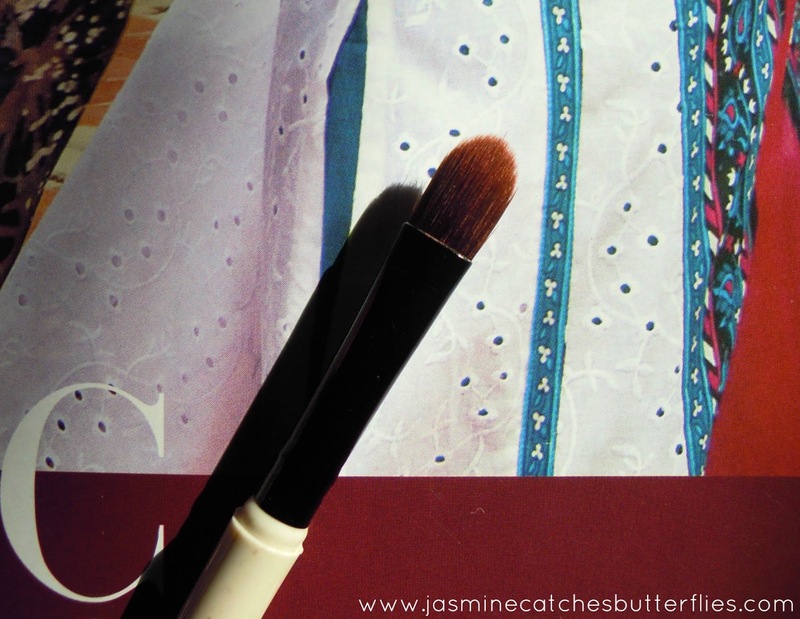 In the photograph it does look a lot lighter than it does on the lips when used with a brush, but I assure you it looks classic and dries speedily with this method. I freaking ate PAAYEIN with this on and it did not budge, Ha! Undoubtedly, this is my favourite one. It also has an unpleasant but negligible scent. Availability: Masarrat Misbah website, Scentsation, EBCO. Check out their page for more. 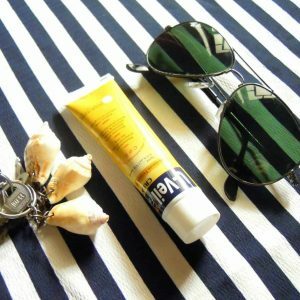 This one comes in a good quality plastic tube and is indeed the best in formulation out of all three on the whole. It is more liquidy than the others and is most lightweight. I find this gives me more playtime initially to even out on my lips but the only downside is that it feels more sticky in the process of drying. It also has a normal doe foot applicator and if your lips are lined you can go in with it directly since this lipstick is the easiest to work with. It is more pricey than the rest and smells amazingly floral. This reminds me of spring and happy times. The shade Mandarine is salmon orange and a unique addition to my collection. This is probably the longest and most comprehensive post on my blog and I hope you benefit from it. It’s super late now, my house lizard is peeking from behind the wall clock, waiting for me to sleep so it can sneak out. I am just glad we made it together on this learning curve. Let me know if you try this technique! 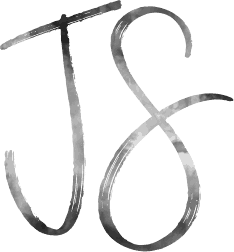 It’s My Blog’s 3rd Anniversary! Happy anniversary love! ♡ I was really looking forward to this post. 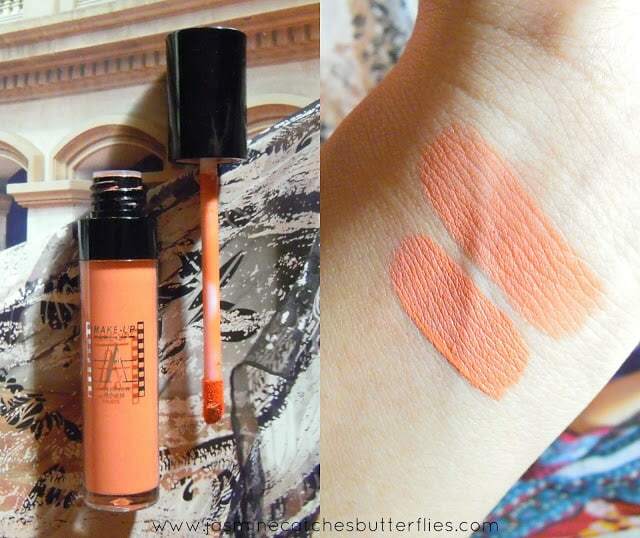 I love liquid lippies but they always cracked and looked weird. Going to try out your tips! Btw what do you think of ELFs lip exfoliater? Great post (A much needed one!!) And I LOVE makeup aterliers liquid lippies ? next on my to buy list since I ran out of the one I already had. So basically i havent tried ANY liquid lippies yet *yeah* ? post was freakin informative and i LOVED the way you shared every single detail which kept me reading it even though my eyes were almost closed ? that MM's liquid lipstick is gorgeous ? and Happy 3rd anniversary ? PS: gotta tell ami to make paayen tomorrow! ? Awesome post Jadirah! I must say you have resolved all the related problems, Thanks! Exactly I get it because we cannot hold what Nikki calls the "creepy smile" until our lips dry ? On the plus side I am so glad matte lipsticks have started this trend of appreciating natural lip lines and texture. People actually fake them with lip liner now! You can find such reviews on CP at Mesijesibeauty or coffeebreakwithdani. Glad you don't find me annoying ??? This was a much needed post! I have experienced similar difficulties so I make sure my lips are exfoliated and moisturized. That point about making a thin layer, that is exactly where beginners and non-makeup people go wrong. I have observed my liquid lipsticks' behaviour up close and I second you. Many congratulations on your blog anniversary. It is indeed a great post with so much basic information about liquid lipsticks. I see many girls even beauty bloggers complaining that they can not use these formulas just because they do not know how to apply them. This post is really going to help every one. This is really helpful post btw I must share a strange thing; I never experienced anything horrible yet with my liquid lipsticks… just a few manageable things. I used a few brands, even last night applied n tesred MMMone so can finally review. Ill link ur post for anyone who might looking for help. Ill surely try out the brush one plus thanks for recomending oil for removal, ill add it too. I like DMGM ones n MMM one but MUR one was a dissapointment toooooo chalky for my liking. thank u so much n loads of love n prayers your way Jadez! PhuloPhalo!